Do you remember where you were when 9/11 happened? How about the Indonesia earthquake and the ensuing tsunami? Haiti? Chile? Japan? In my job I have the fortunate opportunity to listen to and talk with customers curious about our products. What I’ve begun to hear is a rising fear and panic in some of their voices even if it’s just a slight shift in tone. Are you worried about radiation in your water and food? Are you worried about an earthquake? While I think it’s natural to wonder about these things for a moment especially given living in California, hanging out there for long stretches of time is dangerous. And really, it’s kind of beside the point. I happened to be in Anaheim for a gigantic natural foods trade show when the headline appeared on my computer about an earthquake in Japan. The findings were still preliminary and I remembered how surreal it had been to watch the headlines unfold during the massive quake and tsunami that struck Indonesia and Thailand, sometimes the headlines anticipating oncoming devastation with its matter-of-fact, in print facts and summations. The next morning, I turned on the news in that hotel room and began seeing footage of the tsunami, seeing a wall of black water and debris devour whatever was in its path. We watch sometimes unseeing. It didn’t look real and yet at breakfast, all eyes were glued on the television, even as we prepared for our first day at this important trade show. I emailed my friend in Fukuoka to see if he and his family were alright and then went on to greet people and encourage them to try our products. In the wake of natural disaster, it’s always surreal to somehow continue on your normal way. You can’t necessarily go to each afflicted country and help the people first-hand. You have to find a way to respond that fits, but responding is not a question either. The how is really the question. This year I’ve been in a runner’s mark of readiness. Two opportunities arose that not only gave me a way to naturally give back to Japan and get involved but really take on solidarity with the ravaged country with a host of other people who felt a call to action. 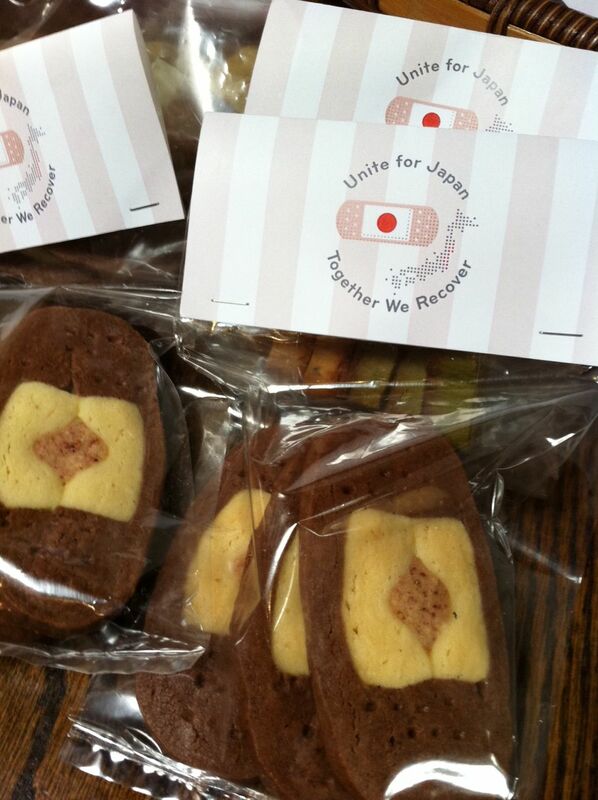 I had the sincere pleasure and pride to watch people from the foodservice industry come together with home bakers, food bloggers and people wanting to contribute in this past weekend’s Bakesale for Japan. Pizzaiolo pastry chef Samin Nosrat organized this one day Bay Area event with all proceeds going to Peace Winds Japan that then grew to various cities around the country this past Saturday, April 2nd. What touched me to the core and continues to are the restaurants wanting to share what they do best and help this cause. 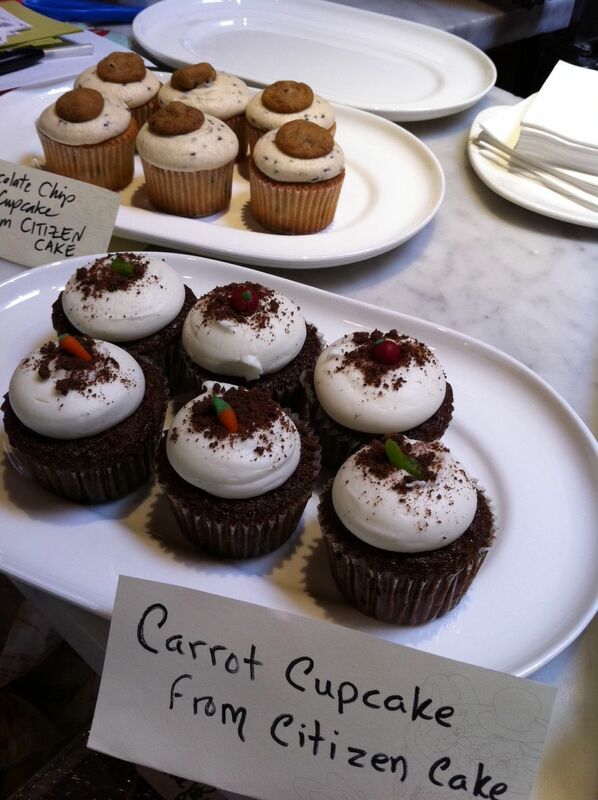 This was quite evident as SPQR shuttered service until 3 p.m. letting the Bakesale create a pop-up store inside the restaurant. We moved tables and received baked goods from Arizmendi, Sweet Jo’s, Citizen Cake, Out the Door, Telltale Preserve Co., SPQR, A16 and Blue Bottle to name a few foodservice operators that got involved. Starter Bakery sent along goodies for the bakesale to be sold and also sent over a box for the volunteers- a nice touch. 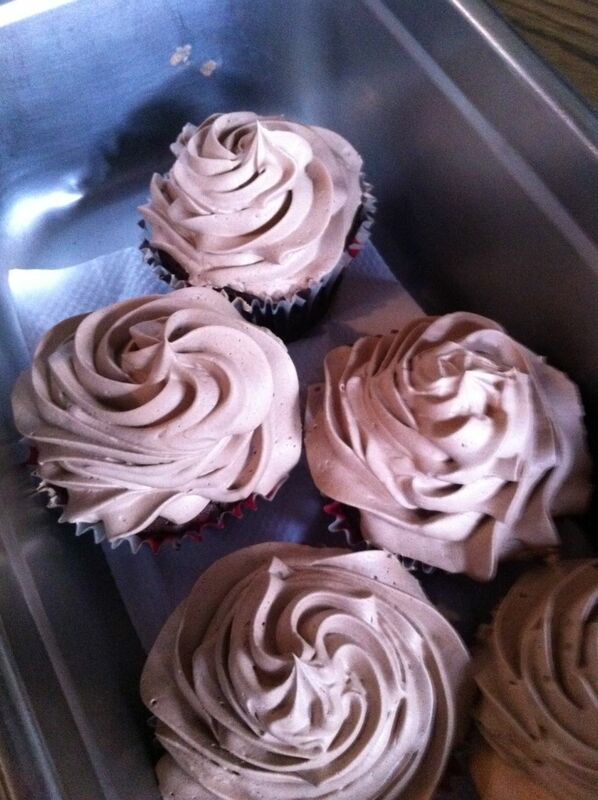 The staff at SPQR had baked up some chocolate buttercreme cupcakes with peanut butter centers and other treats the night before the bakesale. 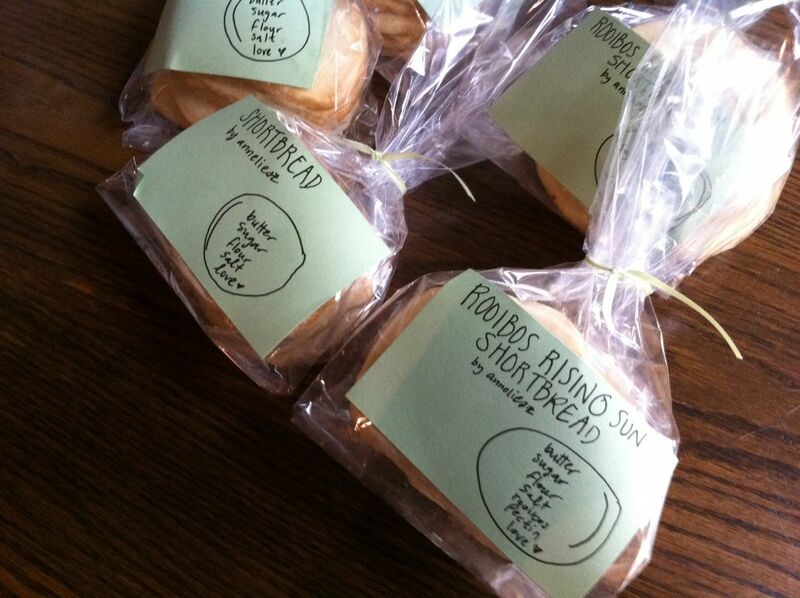 In their spare time from cooking, they were baking up goodies to contribute. This act really reverberated in me and reminded me how much I love working in the foodservice industry. I volunteered Saturday morning and part of the afternoon to help out at SPQR and while there, reconnected with friend Laiko and Ariel and met new friends Monica, Marissa and Silvana. Together we can make a difference. We put on our marketing hats and issued short-timed promotions throughout our stint on-site. 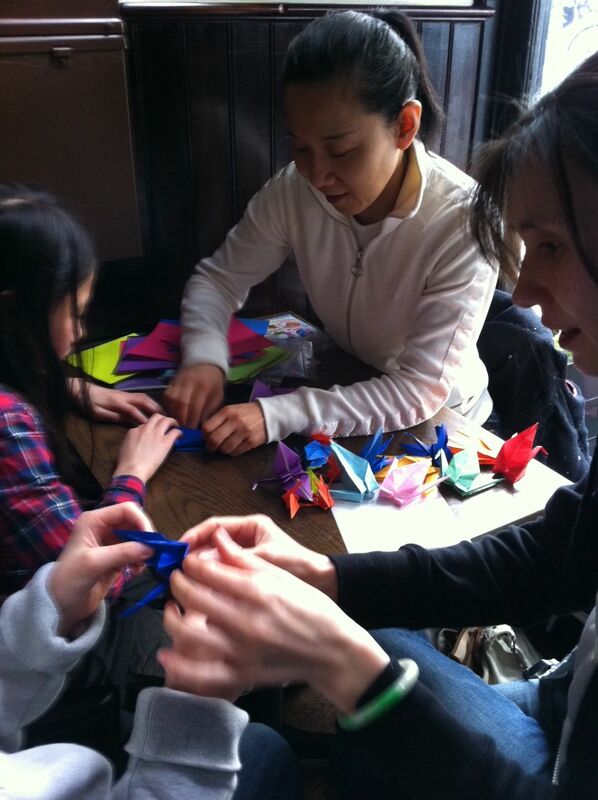 Two tables hosted origami lessons, making cranes. I posted photos of goodies to buy up on my food photo album to entice and lure friends checking it out to head over to SPQR as well as hitting the street with Ariel and Nader to invite people to head over to the bakesale. We sold through most of the homemade treats and there were many! 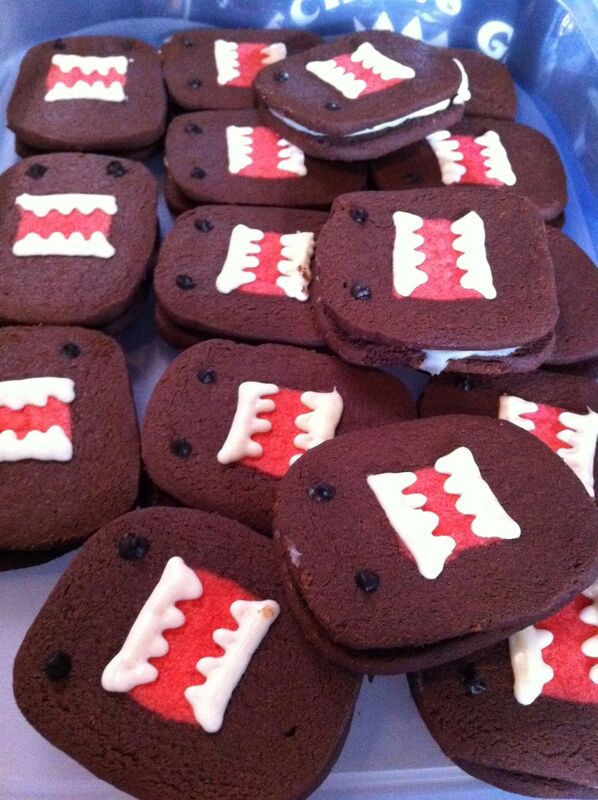 Check out some of the cupcakes, cookies and other treats below. Want more, go here to see the full spectrum of goodies available that day that I photographed. 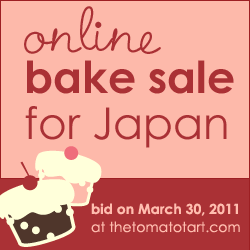 I also participated in an Online Bakesale for Japan, where 90 food bloggers from different parts of the world offered to bake and ship some of their morsels to the highest bidder with all proceeds going to Second Harvest Japan. Irvin told me about this and I contacted organizer Sabrina to see how I could help out and get involved. 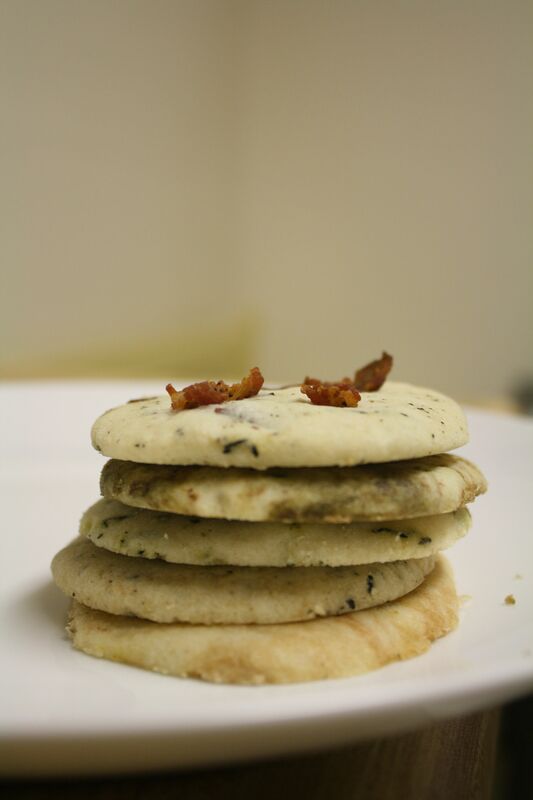 Late Sunday night, I took a taxi from the airport to style the tea and photograph it for her that I would be baking with and then a few nights later finished experimenting with the baked Tea Shortbread. Beck supported my baking and made dinner that night as we had a movie on in the background. Sabrina pulled off this feat within a short amount of time and while she had set the goal of raising $2500 for Japan, we superceded that over threefold, as final sales brought in around $8000 for this one day event. I bid on some Sour Cream Chocolate Cake in a Jar and put my own Menagerie of Tea Shortbread up for sale (recipe coming soon). This past year has had me at its mercy, living through my own personal tragedy. I feel emotionally spent and physically beleaguered. As I’ve been volunteering, I think of my dad’s memory and can’t think of a more fitting tribute than doing my part to help others devastated in a small way. I tire myself on behalf of my Father, doing His work and being His hands. What I think both of these day-long fundraisers have in common is a lot of heart and shared action. 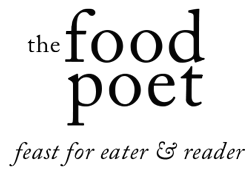 Through the inspiration of the organizers, Samin, a pastry chef and Sabrina, a food blogger, set up different ways to address the same issue at hand. One person can make a difference because that first voice has power to call others alongside. Together we can. What a great bakesale! It was fun meeting everyone…looking forward to hearing the amount we raised for Japan.